Twenty years after topping the British charts with her debut single Dreams singer Gabrielle has released a new album and announced a UK tour which plays Birmingham Town Hall on March 20, 2014. The album, Now and Always – 20 Years Of Dreaming, includes a collection of Gabrielle's biggest selling songs as well as seven new songs produced by the likes of Syience, Paddy Byrne and Naughty Boy. There is even a new version of Dreams masterminded by Naughty Boy who is known for his work with Emeli Sande. "I didn't think we should mess with Dreams," admits Gabrielle, "but Naughty Boy did an amazing job. It sounds nothing like the old version. When I heard the rework, I was astonished – it was as if I just realised what a beautiful song Dreams is." Perhaps the most surprising new track on Now and Always is first single Say Goodbye, a broody break-up song with a nagging refrain that takes Gabrielle's distinctive voice into completely new territory. Also noteworthy is Knew Me, a '60s-influenced soul stomper, and the funky Holding On For You. The title track is a bittersweet, haunting love song set to strings and piano, while Show Me What You Got is made for the dancefloor. 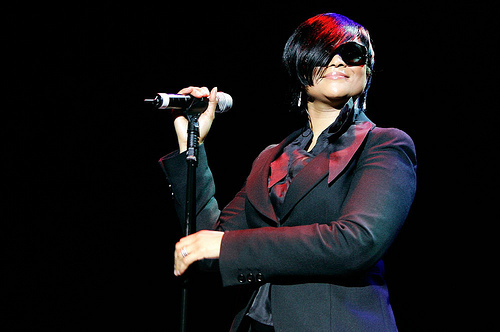 As well as including all of Gabrielle's massive hits, from the number one single Rise to Give Me A Little More Time, Out Of Reach, Sunshine and If You Ever, the double CD also features the Daft Punk remix of Forget About The World, the Wookie mix of Sunshine and the Artful Dodger remix of Rise. 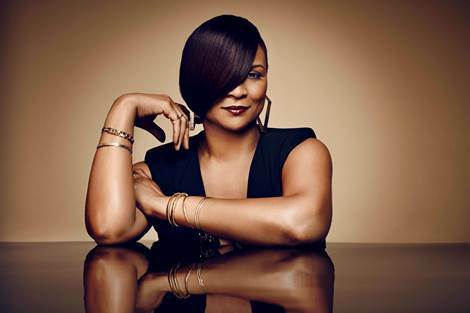 Gabrielle has sold over 10 million records, won two Brit Awards - for Best Newcomer in '94 and Best Female in '97 – and was awarded an Ivor Novello in 2008 for Outstanding Song Collection. She has also picked up two MOBO awards, including one at the very first awards in 1996. Next year's tour begins on March 12 at Salford Lowry then plays Newcastle Tyne Theatre (Mar 13), Southend Cliffs Pavilion (Mar 15), Bournemouth Pavilion (Mar 16), Ipswich Regent (Mar 18), London IndigO2 (Mar 19), Birmingham Town Hall (Mar 20), York Barbican (Mar 22) and Glasgow Royal Concert Hall (Mar 23).